The Sony FE 24-70mm f/2.8 GM Lens features a Direct Drive SSM (Super Sonic wave Motor) system that provides fast, quiet AF performance as well as responsive manual focus handling that is suitable for both still and video applications. The moisture sealing, rubberized control dials, and Focus Hold button makes this a great outdoor event lens even in inclement weather. It is compatible with both full frame (FE) E mount cameras, such as the a7II, and crop sensor NEX E mount cameras, such as the Sony a6500 Mirrorless Digital Camera. Its effective focal length on a crop sensor is 36-105mm, still a great range for most applications. This lens is ideal for videography, events, candids, and traveling. • This lens does not have image stabilization. 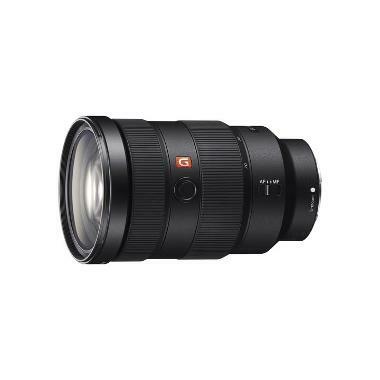 If you need a similar lens with image stabilization, see the Sony Vario-Tessar T* FE 24-70mm f/4 ZA OSS Lens.